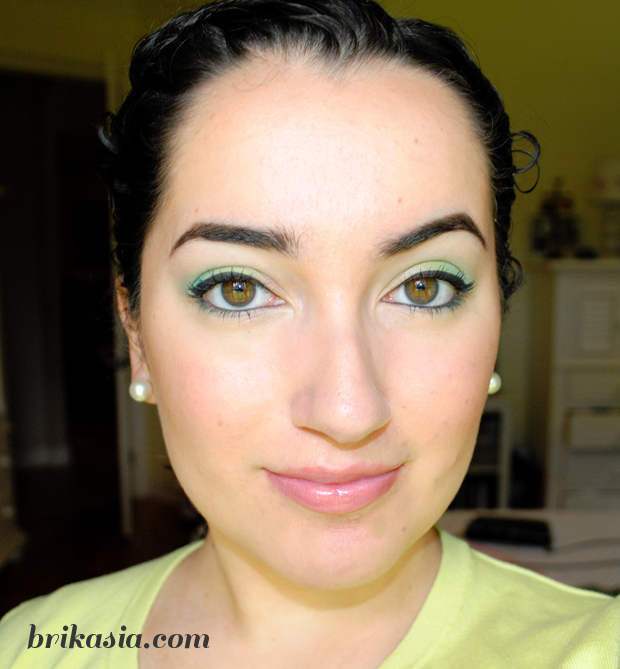 After a weeklong mini-hiatus here on Brikasia, I'm back with a face of the day! 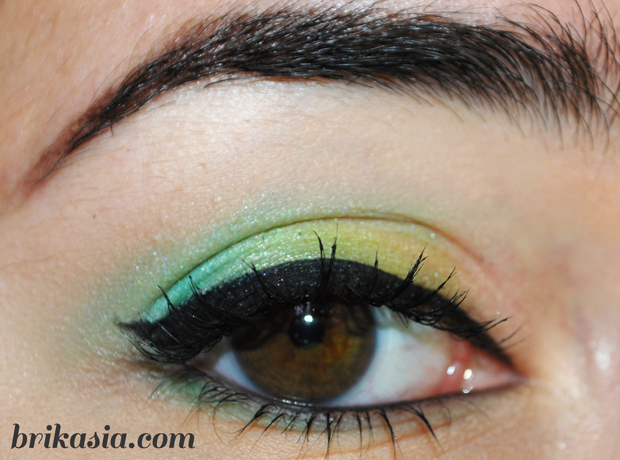 This past weekend I wanted to play with some color on my eyes but keep the overall look fairly conservative. I knew I wanted to play with Sugarpill's Mochi eyeshadow again, but wasn't sure how to incorporate it. I came up with this simple gradient eye and kept it contained to the lid to keep it conservative. I got a ton of compliments on this look, too, which is always a plus. If you want to wear some bright and bold colors but don't want to look like a clown, my suggestion is that you keep the color contained beneath the crease- just keep it on the lid. Then blend a neutral color into the crease, and smudge a bright color on the lower lashline, and you've still got a supremely wearable look. How easy was that?